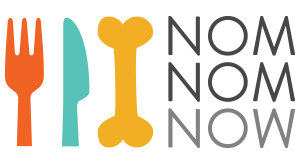 We started NomNomNow because we believe dogs and cats deserve better food and people deserve a better experience! Truthfully, we were sick of worrying about sketchy ingredients and wondering why dog and cat "food" was unrecognizable as food. We also questioned the mass-manufactured, one-size-fits-all model: no two people eat the same, why should we expect the same of dogs and cats?